The latest issue of Punishment and Society has a book review of Hood's classic book on the death penalty movement, with an international perspective. The death penalty: A worldwide perspective, Roger Hood and Carolyn Hoyle. Oxford University Press, 2008. 504 pp. $120 cloth. ISBN–10: 0199228469. Review can be viewed here. 10. A Question of Opinion or a Question of Principle? The second major component (aside from intelligence) in the diagnosis of mental retardation is a deficit adaptive behavior. Currently I've got two recent articles pending in the Adaptive Behavior Inbox. Click here for description of the inbox feature. The literature on adaptive behavior is less than the totality of research on intelligence and intelligence testing, but the amount is still extensive. Adaptive behavior references of any kind located in the IAP reference database can be found here. 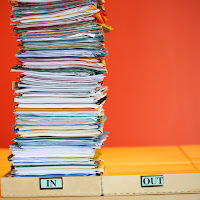 A feature I've used at my other professional blogs (IQs Corner; IQ Brain Clock) is the professional reading "inbox." On a weekly basis (for nearly 20 years) I search the Current Contents/Behavioral and Social Sciences index and flag any and all journal articles relevant to my professional interests. This now includes articles related to the purpose of the Intellectual Competence and the Death Penalty blog. I import all flagged references into a private reference manager software program (current n = approx 40,000). From each weeks flagged set of articles I then acquire PDF copies of articles I plan to skim and/or read in greater depth (for eventual blog posts). To alert readers to the literature I'm reading (which likely will result in future blog posts), and also to alert readers to articles they may have an interest in, I cut-and-paste a copy of the journal author, title, and abstract into a PDF file. I then post these "inbox" files for viewing by readers. For this blog there will be separate inbox for specific topics (e.g., IQ testing; Professional Standards and Ethics; Flynn effect; etc.). You will find the different inboxes on the right hand side of the blog page. The list will grow over time. Today I'm making my first inbox post. The first is the Flynn effect inbox. One cannot read much literature (journal articles and/or court rulings) that do not make reference to the Flynn effect and changes in IQ scores over time. The extant literature is massive. I've only posted two recent articles I plan to skim. To illustrate the extent of this literature I ran a search of my reference database for articles that make some reference to the Flynn effect. It can be viewed by clicking here. There are many more than those listed in my list. Also, Dr. Flynn has recently summarized the gist of his research on this work in the book What is intelligence: Beyond the Flynn effect. At some point I plan to digest as much of this literature as I can and post some general comments and conclusions. Or, I might seek out other intelligence researches to make guest posts re: this literature. I do know, via attendance at a number of recent ISIR conferences, that more recent (and emerging, yet to be published) research is resulting in new questions and controversies being raised about the specific nature and generalization of the usual Flynn effect findings and rules-of-thumb for average IQ score changes per year/decade. 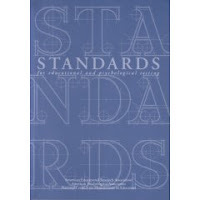 Over time some of these specific professional standards will be discussed in greater detail, particularly within the context of specific issues and or examples. The latest issue of Applied Neuropsychology (the table of contents which was provided at this blog previously) includes a series of papers that grew out of the symposium Controversies in Determination of Mental Retardation in Death Penalty Appeals at the annual (2007) American Psychological Association in San Francisco. Dr. Stephen Greenspan is the editor for the special issue. His introductory article, Assessment and Diagnosis of Mental Retardation in Death Penalty Cases: Introduction and Overview of the Special 'Atkins’ Issue, organizes the articles around three "prongs" used in the definition of mental retardation. Most articles fall under one of these three prongs, but a few don't. According to Greenspan, "The final paper, by Olley, addresses the need for psychologists testifying in Atkins cases to have relevant training and experienceinvolving people with mild mental retardation functioning in community settings." Oiley's article articulates the need for experts, who testify or provide declarations for the court in Atkins cases, should have "an adequate understanding of mild mental retardation and, in particular, to avoid making intuitive-clinical judgments based on inappropriate stereotypes more appropriate to people with moderate or severe." A major problem with Atkins cases is that the diagnostic criteria often vary across different state laws and court systems. Many states use an IQ cut-off score of 70 while others allow more flexibility based on psychometric principles such as measurement error (standard error of measurement - more on this in a later post). Thus, a 75 in one state may not meet the diagnostic criteria for MR...while in another it may be considered as a valid score for an individual with MR. Most states use either the MR criteria published by the American Psychiatric Association (DSM) or the so-called ‘‘red book’’ of the American Association on Mental Retardation (AAMR, recently changed to AAIDD). Two issues in intellectual assessment that are very common are the Flynn Effect and the determination of intellectual or adaptive malingering during assessments. Prong three (developmental criterion) is usually given the least amount of attention in Atkins proceedings. A recent issue Behavioral Sciences and the Law (2009, V27) may indirectly relate to mental retardation death penalty cases. The issue deals with The Neuroscience and Psychology of Moral Decision Making and the Law. A copy of the editors (Erickson et al., 2009) introductory article can be found here. The journal Applied Neuropsychology just published a special issue that focuses on the issue of intellectual disabilities (mental retardation) and the death penalty. An advanced copy of the table of contents (that I received a while back) can be viewed here. The formal listing of articles, authors, pages, and viewable abstracts are available at the Applied Neuropsychology web page for this issue. The case that started the current wave of court case hearings, issues, appeals, etc. was Atkins v Virginia (2002). 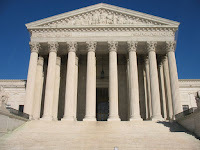 The U.S. Supreme Court decided that the Eight Amendment to the U. S. Constitution forbids cruel and unusual punishment, and was the primary basis for deciding that individuals with mental retardation (deficits in both intelligence and adaptive behavior) could not receive capital punishment (death penalty). A copy of the official decision can be found here. It is also listed under the "court rulings" section of this blog. This is currently a blog in the formative stages of development. I recently consulted on a federal death penalty case involving a person where the question of whether he/she had an intellectual disability (up until recently typically referred to as mental retardation) was a central issue. I was asked to review the results from an intellectual assessment. I was not asked to render a judgment on whether the person had an intellectual disability---I only served in the capacity of an expert in psychological measurement and psychometrics, with regard to one intelligence test in particular. At this time I will not divulge whether I served as an expert for the prosecution or the defense. Findings of particular cases, court decisions, etc. Other issues as they emerge. This will be a sister blog to my primary blog--IQs Corner. I decided to NOT integrate this project in that larger more general purpose blog that covers intelligence testing, theories and research. If I do get this project off the ground, FYI posts will be made at IQs Corner. I'm also interested in eventually opening up this blog to either guest expert blog posts or other experts in related areas (e.g., adaptive behavior) who might become regular contributors. This blog is meant to be specialized and will not deal with all issues related to IQ testing and/or the death penalty. There are a ton of websites that provide this information. The intent is to focus primarily on psychometric measurement issues and research related to intelligence testing that may have bearing on capital punishment cases for individuals with an intellectual disability. Also, this website is not pro- or-con re: the death penalty. My goal is to stay issue neutral and not advocate. If some of the posts tend to sound like I am preaching or advocacting, it most likely is due to my fervent passion in the defense of good psychometric and theoretical-based psychological testing and the need to educate others, often via highlighting what I think is bad practice. If I am guilty of any bias, it is not intentional and is due to my strong belief in the science of psychological measurement, a science that can be abused and misunderstood. I will not comment on details of the case that piqued my interest. Lessons learned from that case will appear as more general posts sometime in the future. It is my goal to provide objective professional information free from my personal beliefs re: capital punishment.